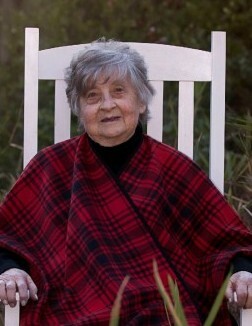 Bernice Sain Callahan, age 90 of Hamlet, formerly of Laurel Hill passed away Wednesday, March 20, 2019. Funeral services will be at 2:00 p.m. on Monday, March 25, 2019 at the Richard Boles Funeral Service Chapel. Burial will follow at 11:00 a.m. on Tuesday, March 26, in the Zion Cemetery in Lincolnton. She was a daughter of the late Clyde Sain and Eula Bess Sain born April 28, 1928 Lincoln County, North Carolina. She is preceded in death by her husband, McNair Callahan. She worked in textiles retiring after many years of service from Spring Mill. Bernice enjoyed gardening and working with flowers, sewing and making costumes for her pets. She was a talented photographer and enjoyed being outside with all the beautiful colors. Her greatest love was sharing time with family. Along with parents and husband, she is preceded in death by her daughter, Sarah Callahan Perkins and son-in-law, Marshall Perkins; brothers, Norris Sain, Pete Sain and sister, Louise Peeler. Bernice is survived by her granddaughter, Mandy Phifer Shepard and husband Jimbo of Hamlet; great grandchildren, Hunter Shepard and Dannon Shepard; sisters, Brenda Heavner of Gastonia, Linda Hawkins of Lincolnton and Ethel “Butch” Warlick (Gene) of Vale and a host of nieces and nephews. Visitation will be from 6:00 until 8:00 p.m. Sunday, March 24, at Richard Boles Funeral Service.